Discover Ubud with your personal, local, English-speaking guide. Created for those who want to experience the “real-life” traditions and authentic culture of communities in Bali. I’ll customize your personal tour with some of the sight selections listed. Tegenungan Waterfall,Clean and pristine, be sure to bring your swimsuit. 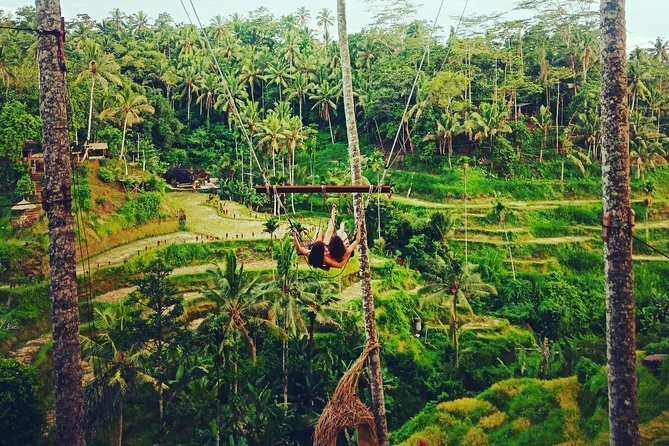 Sacred monkey forest sanctuary in Ubud Beautyfull Tegalalang Rice Terrace and swing. Coffee plantation,cocoa and other are grow and produced. Though we will provide our recommendations, we’ll give you the background, history and cultural significance of each destination. With your customized tour, you’ll understand the importance of each tradition and ceremony as it relates to the Ubud community and Balinese culture. - Get intimate knowledge and discover hidden secrets on any of our deep Bali culture tours. Your local Balinese guide will introduce you to the people and customs of our beloved island. - We recommended you have to bring sunscreen.